the old coal shop run by Julius and Annedore Leber in the in industrial area along the railway line was a meeting place for social democratic resistors. The working group Annedore and Julius Leber Memorial is keen to keep this site of memory alive. Dr. Dimitri R. Stein, who was denied his Dr.-Ing. 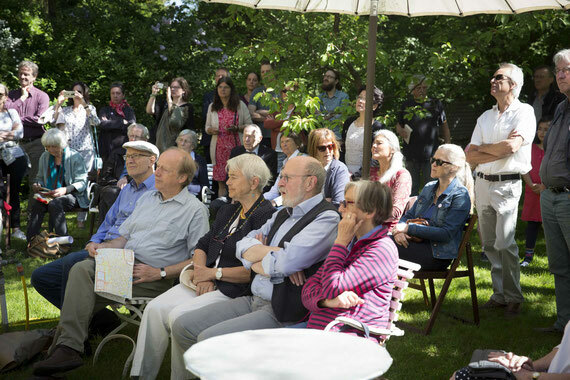 at the TH Berlin because he was Jewish, and his father, Roman I. Stein, have been remembered by Jani Pietsch, Marie Rolshoven and Dr. Simon Rolshoven with the help of photographs, letters and a video recording. Dr. Dimitri R. Stein lives in New York. Oliver Stein (Bedford Hills, New York), a grandson of Dr. Dimitri R. Stein, has been present. Petra Michalski talked about Professor Albert Einstein, a close friend of her uncle, Professor János Plesch. 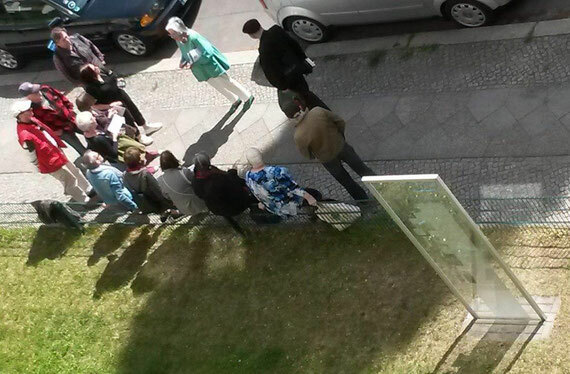 Secondary school teacher Otto Morgenstern has been remembered by Heike Stange outside his former home. Ernestina Gallardo née Ledermann lived in Markgraf-Albrecht-Straße 8, a nearby street. During the Nazi era she hid people who were being persecuted. 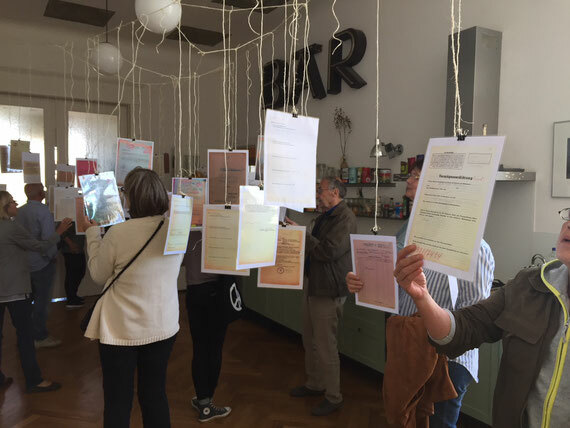 Pupils of the Paul Fahlisch Gymnasium in Lübbenau/Spreewald researched her story with their teacher, Antje Pohler, and read from the compensation file. Four rooms, marriage, murder. The Jacoby, Messerschmidt and Reich families have been remembered by the house community. With Merilyn Moos (London), a granddaughter of the Jacoby family, Dan M. Messerschmidt (Berlin), grandson of the constructor of the house, and Jack M. Weil (Amsterdam), Ruth Reich's son. 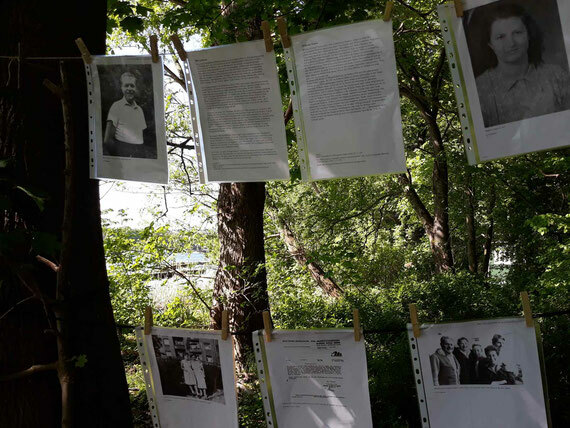 The fate of medical doctor Else Weil, immortalized as Claire in Kurt Tucholsky's Rheinsberg - Ein Bilderbuch für Verliebte in 1912, has been remembered by Andrea Schultz and Guenter Schmidt at her former home. Sinto Johann Trollmann was stripped of his German Championship boxing title by the Nazis in 1933. 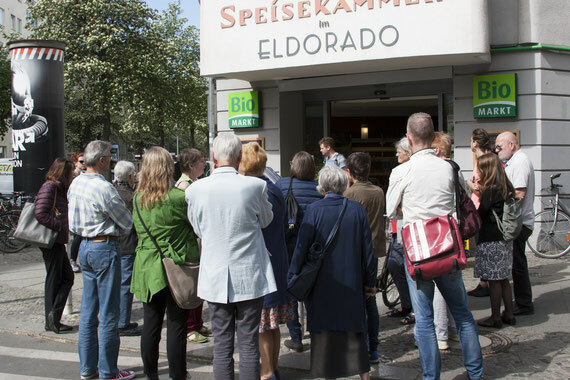 He and seven other victims from Marheinekeplatz have been remembered by the artists Oscar Castillo and Eva Kreutzberger. 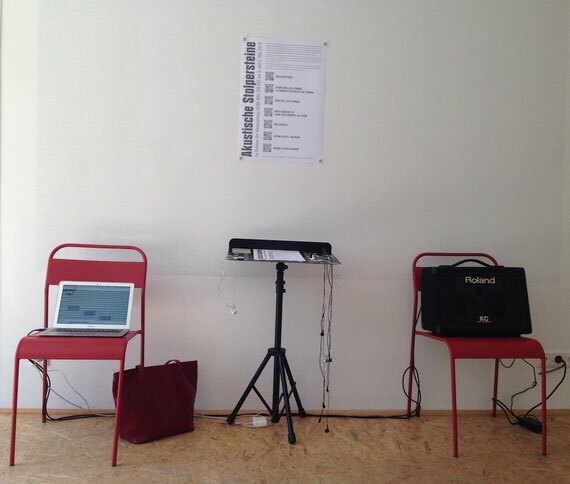 Composer Marion Fabian accompanies with acoustic stumbling stones. 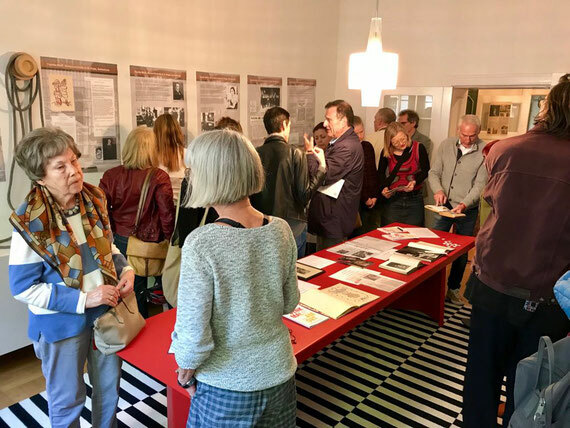 The Blech, Chaskel, Lappe and Wolff families - some of the many Jewish neighbours who once lived in this house - have been remembered by Claudia Saam and Dr. Wolf Rüdiger Baumann in their apartment. In memory of Martha Liebermann. Sie glaubten, Deutsche zu sein. Martha Liebermann-Marckwald. 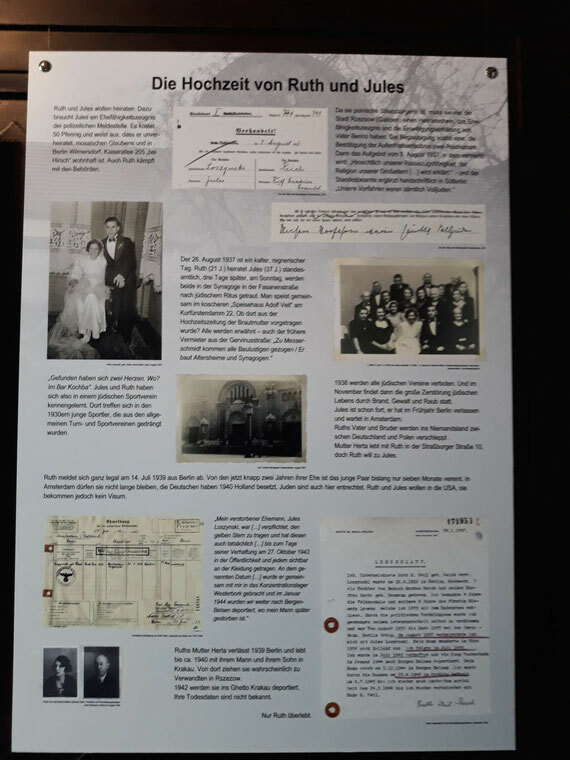 Eine Familiengeschichte zwischen preußisch-jüdischer Herkunft und Shoah. Author Marina Sandig payed homage to a strong personality who never tired of promoting tolerance and reconciliation. Photographs of Martha Liebermann and works by people who knew the family have been the framework for the reading. The path along the visual axis from Nollendorfplatz to Viktoria-Luise-Platz goes through Motzstraße. 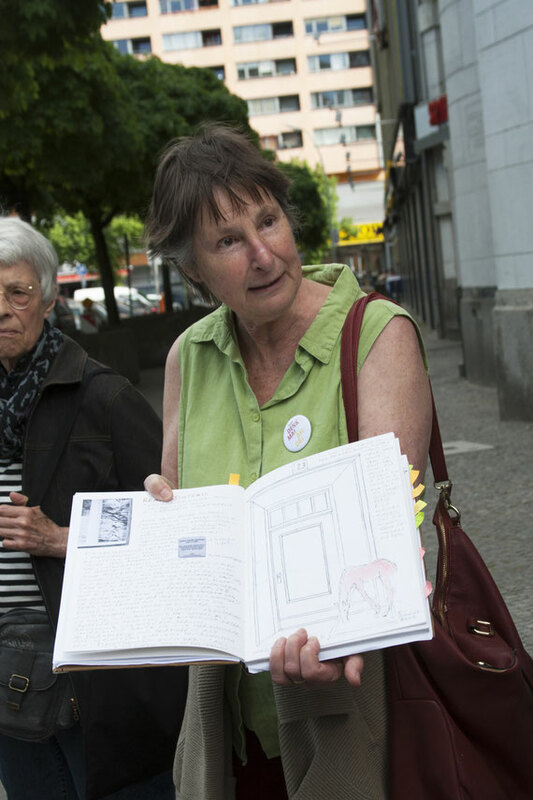 Artist Doris Hinzen-Röhrig commemorated more than 24 residents there on her walking tour A long perspective - cultural survival. 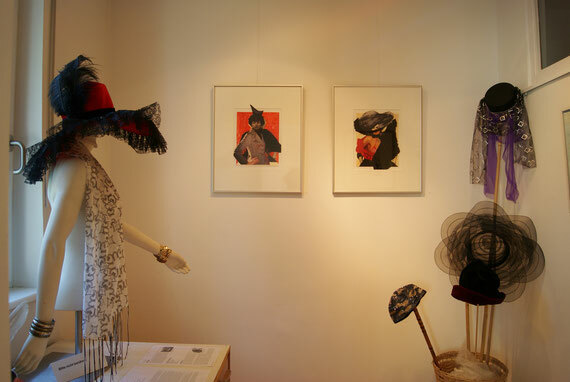 A book of text passages and drawings by the artist underpinned the visual impressions gained on site. 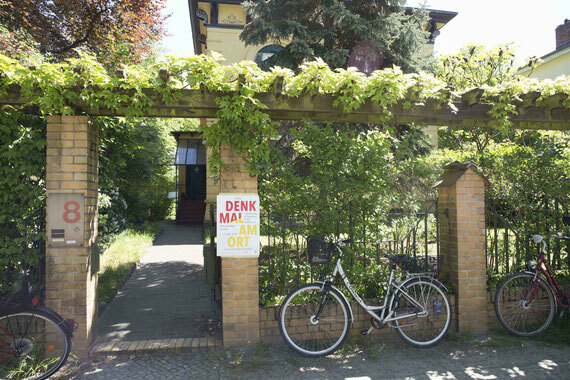 The young Jewish girl Renate Wolf (today Rahel R. Mann) was hidden from the Gestapo in the cellar of this house. Rahel R. Mann read from her own story Uns kriegt ihr nicht: Als Kinder versteckt - jüdische Überlebende erzählen by Tina Hüttel and Alexander Meschnig. 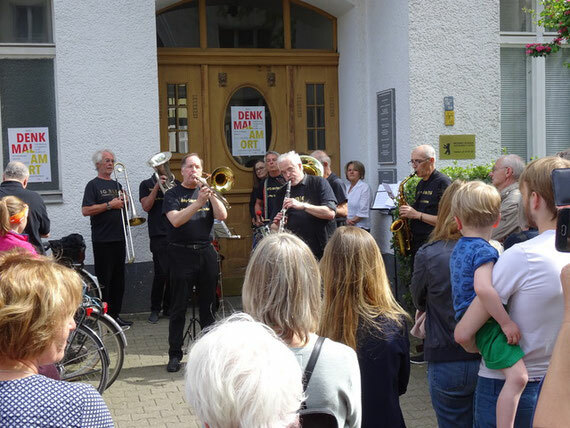 The IG Blech Band played pieces composed for this event. 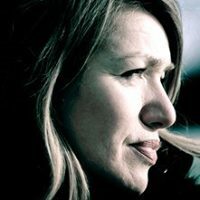 What is the connection between renowned presenter Hans Rosenthal and award-winning journalist Inge Deutschkron and the events of 23 August 1944 on Reiswerder island? 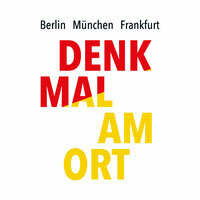 Open air exhibition and audio-video installation in memory of Gerda Lesser, Lotte Basch, Hermann Dietz, and Erna Johanna and Gerhart Fleck. Four rooms, marriage, murder. The Jacoby, Messerschmidt, Reich and Steiner families have been remembered by the house community. 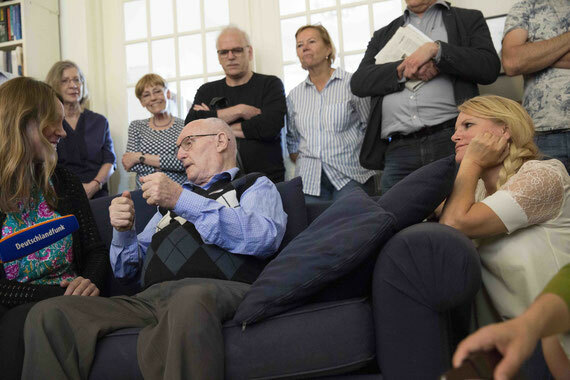 With Merilyn Moos (London), a granddaughter of the Jacoby family, Dan M. Messerschmidt (Berlin), grandson of the constructor of the house, Jack M. Weil (Amsterdam), Ruth Reich's son, and Eva Caemmerer (Berlin), a great granddaughter of the Steiner family. Dr. Dimitri R. Stein, who was denied his Dr.-Ing. 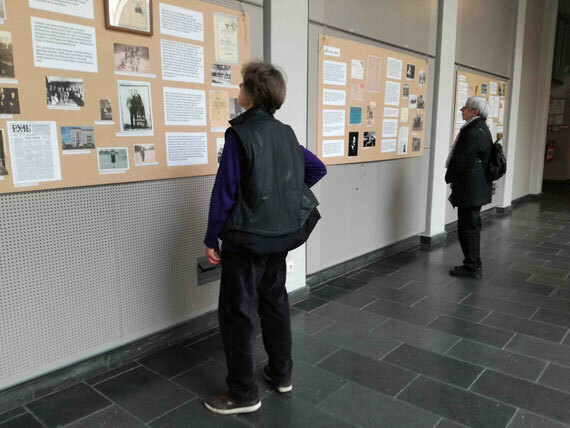 at the TH berlin because he was Jewish, and his father, Roman Stein, have been remembered by Jani Pietsch, Marie Rolshoven and Dr. Simon Rolshoven with the help of photographs, letters and a video recording. 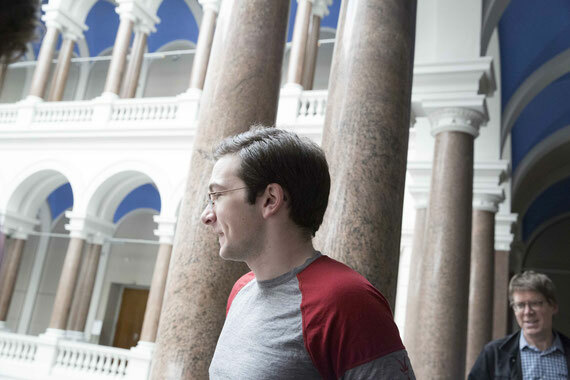 With Oliver Stein, the youngest grandson of Dr. Dimitri Stein. Dr. Dimitri R. Stein lives in New York. Memories of the Kupferberg family: with Maya Kupferberg in the garden that once belonged to her grandfather-in-law. Gabriella Strümpel, who grew up in this house, accompanied on cello. The Katzenellenbogen family lived here until 1939 and ran a hardware shop in Goltzstraße 37. 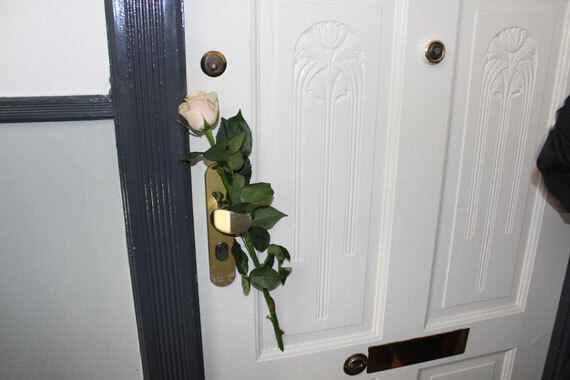 They were remembered by Anke Hassel and Hugh Williamson in their apartment. With Joel Ludwig Katzenellenbogen (Netanya), who spent his childhood here, with his family. 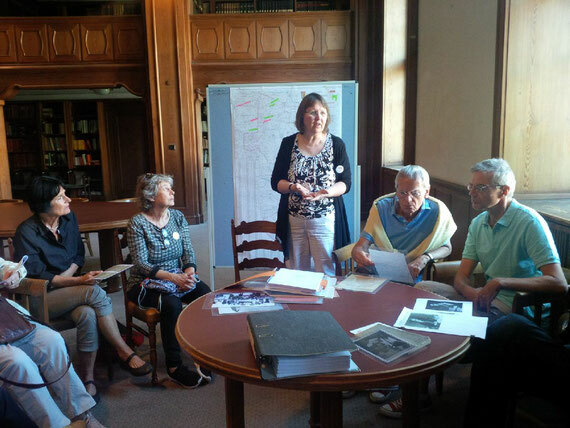 The persecution, dispossession and deportation of the nine tenants who lived in her apartment are documented by Marie Rolshoven. Theodor Kirschbaum owned a clothes shop here from 1926 to 1938. 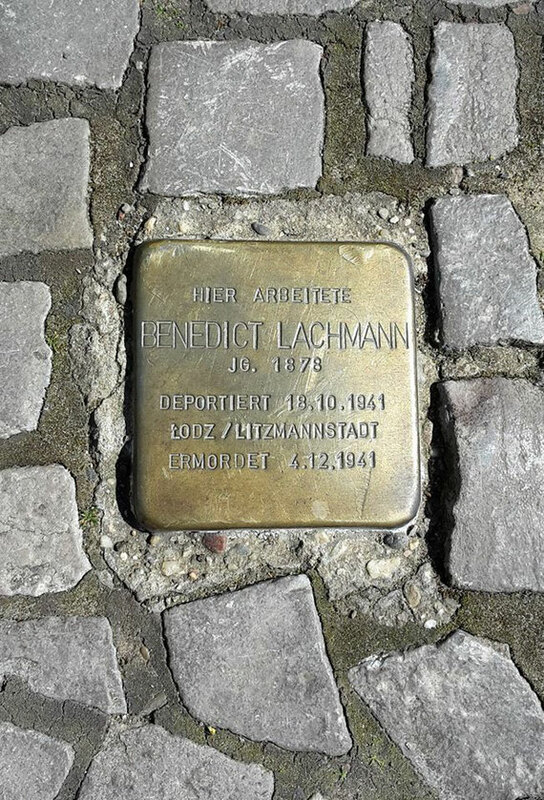 The life and expulsion of the Kirschbaum family and Jews and anti-Semitism in Lichterfelde have been the focus of an commemoration event at the memorial plaque. In early 1943 Elsbeth and Erich Frey went into hiding in the basement of the Workshop for the Blind. They wrote an account for their daughters, in which they recorded their experience of being German Jews, deprived of their rights and excluded from society. Lana Lux read from this account. Dr. Kurt Schilde has given background information on the Frey family. Franz and Petra Michalski talked about the dramatic flight of Lilli Michalski and her sons Franz and Peter, who were persecuted as Jews by the Nazi regime. They also paid homage to the silent heroes who helped the Michalski family to survive. The owner of this small factory, Otto Weidt, mostly employed blind and deaf Jews here during World War II. Dr. Mohammed Helmy, an Egyptian, saved the life of a young Jewish girl called Anna Boros. He is the first Arab to have been honoured at Yad Vashem with the title Righteous among the Nations. 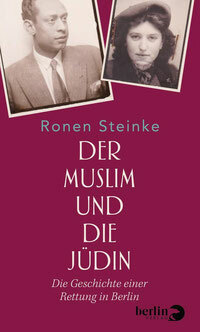 Dr. Ronen Steinke sought out the families in Egypt and New York, and read from his book Der Muslim und die Jüdin - die Geschichte einer Rettung in Berlin. Imam Amir Aziz has given a short introduction. Sinto Johann Trollmann aka Rukeli was stripped of his German Championship boxing title by the Nazis in 1933. 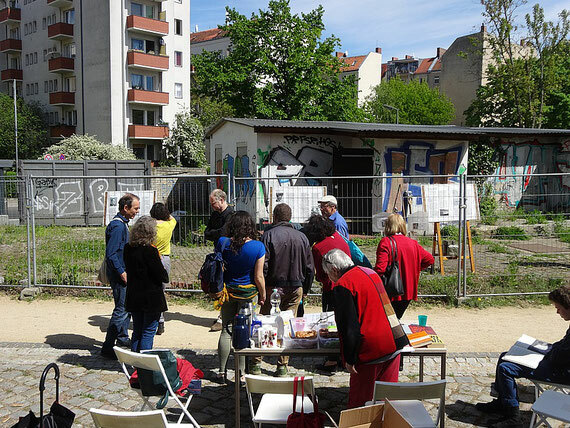 He and seven other victims from Marheinekeplatz are remembered by the artists Oscar Castillo and Eva Kreutzberger. 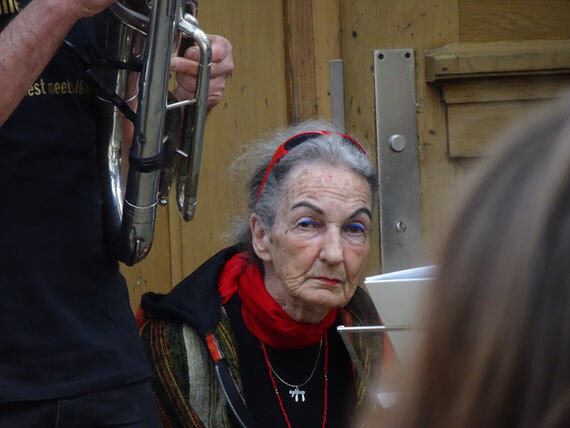 Composer Marion Fabian accompanied with acoustic stumbling stones. 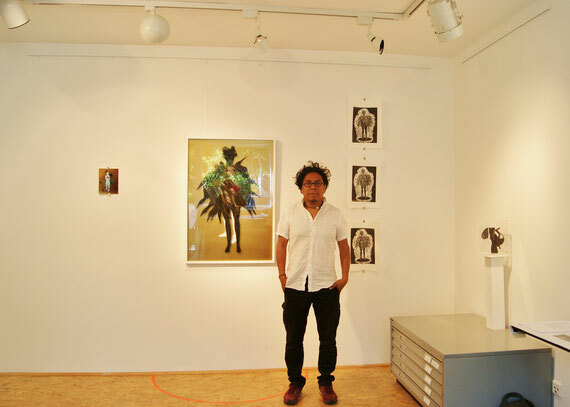 Visual artist Oscar Castillo, together with the work of art he dedicated to Johann Trollmann. 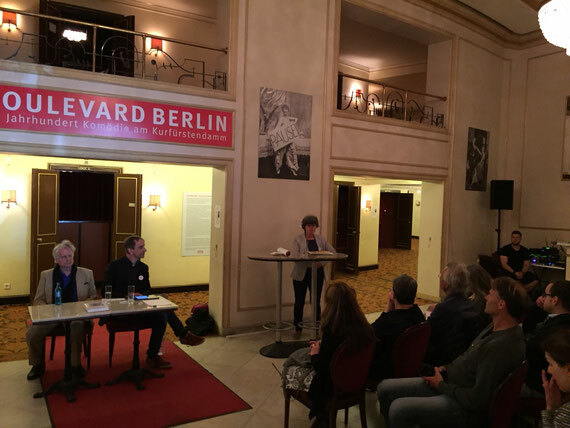 Dr. Cora Berliner and Adolf Schiller were active in Schöneberg Town Hall. 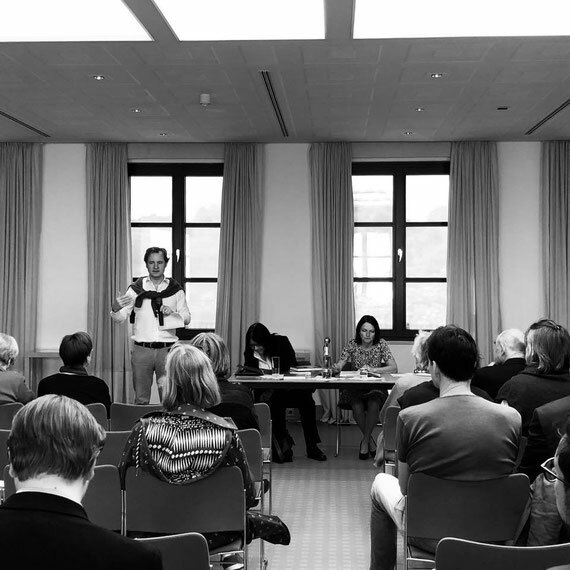 In the administrative library Roswitha Baumeister and Silke Struck gave a short lecture every full hour. 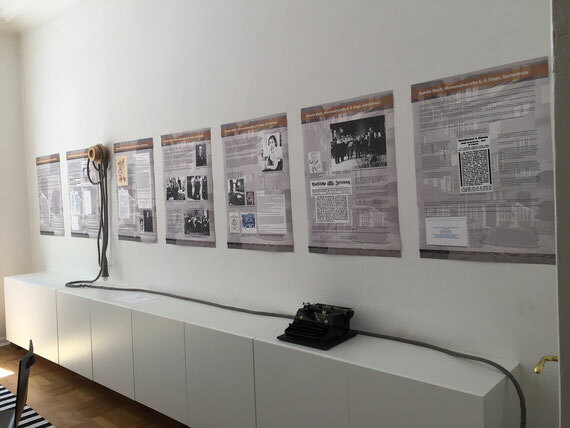 The permanent exhibition We were Neighbours - Biographies of Jewish Eyewitnesses has been the cooperating partner. 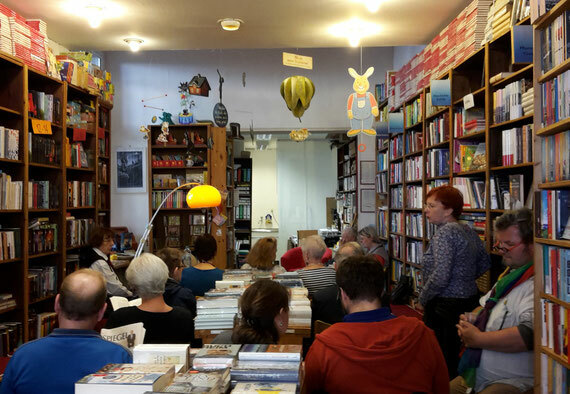 Benedict Lachmann, the anarchist who opened a bookshop here in 1919, has been the subject of a reading and a talk by bookseller Christiane Fritsch-Weith. 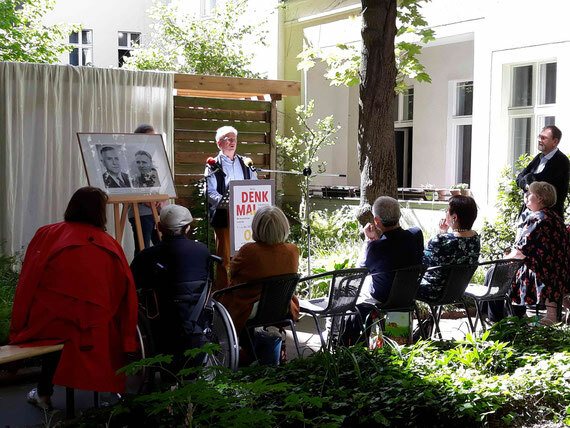 Catholic priest Dr. Josef Wieneke talked about the persecution of his predecessors Clemens August Kardinal von Galen and Albert Coppenrath, and the murder of the parishioner Erich Klausener in 1934. In her Hymn to the Names, mezzosoprano Kim Seligsohn paid homage to those commemorated in the course of these two days in a joint artistic endeavour with organist Frank Schreiber.